The end of the year is when everybody seems to be reflecting on their favorite blog posts. I’ve had my own favorites (often not the ones that drew many page views), but it was more interesting to see how the blog shifted over the year. At the beginning of the year, I was writing exclusively on Christian Higher Education because I was writing a book on the topic (coming this spring from Wipf & Stock). Then I spent time focused on millennials and the way they get treated in the media. As I worked on a class in race and ethnic relations, I added issues of race and oppression. Because I was writing on the Respectful Conversation project, I began focusing on evangelicalism as it impacts the larger world. As the year turns, I find myself focused on some broader sociological questions that frame all these other conversations. I touched on this in my Duck Dynasty post ten days ago, but I’ve been pondering it more deeply in recent days. Issues of celebrity plagiarism, twitter fights, Wars on Christmas/Christianity, reality television and Facebook “likes” all share some similar issues in terms of how we engage culture. Somehow, contemporary society needs to learn better means of discernment so as to avoid living in continual outrage. 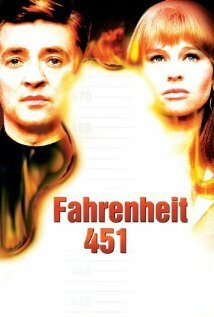 It’s been sixty years since Ray Bradbury wrote Fahrenheit 451. In his dystopian world when books were outlawed, people spent their evenings watching wall-sized televisions that ran the latest exploits of The Family: a group of actors who provided a vicarious outlet for the otherwise humdrum characteristics of life. The Family was more important to the Herzog’s wife than anything else (except for the pills she took so that she’d be slim enough for social standards). Bradbury died in 2012, but it would be fascinating to know his reaction to our media saturated world. His analysis of a world without books is simply too prescient. Who in 1953 would have thought that we’d hang 70 inch televisions on our walls so that passersby on the street could see what we were watching? For all the folks putting their ten life-changing books on Facebook, information for a great many people doesn’t involve books. Research by Pew Interest in 2012 found that the median number (the 50% point of a distribution) of books read by respondents came in at 8. In more recent surveys, they found that nearly 15% of college graduates had never been to a library. In a world without books, factoids and opinion become the coin of the realm. We have no ability to separate what is relevant from what is merely a passing claim. Everyone who encourages friends to use Snopes more to verify “can-you-believe-this-outrage” Facebook posts, the number of isolated conversations seems to increase. Which brings me back to the entire “reality show” problem. These shows operate as semi-scripted entertainment. They don’t reflect real people with real lives. Do you know anybody who shares the lifestyle of the Real Housewives of Wherever? Are “normal” people selected for competition shows? (Early seasons of The Apprentice answered that question for us in the negative.) How is it that characters from a show about Teenage Mothers wind up as known quantities (at least for some) on supermarket check-out magazines? I saw a piece online this week about how Jon Gosselin was mad at Kate again — who cares? Even when their show was popular, I mean, Really? Add to this the problem of continual perceived persecution. As we identify with characters, whether Phil Robertson or Mark Driscoll or Ted Cruz or Shane Claiborne or Rachel Held Evans or whoever is your favorite, we find the need to defend them against attack. As if somehow when they are criticized (even for being less than careful in their remarks), our entire belief system is being called into question. It’s simply not. They might not be concerned about comments made about them (it goes with being in the public eye) so why do we get so enraged? Partly, this is because the people behind all these communications are not interested in exploring issues or interesting people — they are trying to run a business enterprise. That depends upon keeping their product in the public eye through any means possible. I’m not the only person not surprised that A&E reversed themselves on banning Phil Robertson. They’d gotten their week of outrage. They will undoubtedly run higher ratings in the spring when DD returns and be able to charge higher advertising rates. Others keep our focus on outrage because it’s key to their brand. Alan Noble illustrated how this works with Fox personality Todd Starnes. (Disclaimer: I engaged in defense of Alan’s point on Facebook this morning so I’m less than objective.) The methodology of outrage is to pick an isolated instance of Christianity not getting automatic privilege, ignore some key details, and make the instance look like some major social trend. Then they put out the distorted story on a Facebook page and ask you to share if you are outraged. And, surprise!, you do. There are some very negative effects of these media distortions. First, our attention shifts from our own lives and those around us to these supposedly “real” people. We become alienated from our own environment, just as Herzog’s wife did. Second, we see lives of people Very Different than us. One of the byproducts of reality shows like Duck Dynasty or the Duggars (19 kids and counting) is that it creates an impression that folks who take Christian faith seriously are backwoods folks who have lots of kids and live off the land. Third, believing we are seeing “reality” keeps us from addressing real issues. If we watch the Teen Mother show, does it make us think about support for teen mothers, contraceptives, or adoption agencies? Or does it make us focus on the latest drama between this girl and that other girl (I simply don’t want to know their names)? We treat these “reality shows” just like The Family. It reminds me of one of my favorite movies, The Truman Show. Truman Burbank has lived his entire life on camera and is the only person who doesn’t know his “reality” isn’t real. Everyone watches the show: in bars, in hair salons, at home. If it was made today, we’d watch it on our phones. But the point of the movie is that Truman has to break free and live his own life. There’s an underground concerned with what “reality” is doing to Truman. In the end (spoilers, skip to next paragraph), he gets away and must make his own decisions out of the eye of a loving audience. Bradbury didn’t foresee the impact of social media like Facebook and Twitter. But I don’t think he find it healthy. Zach Hoag wrote a wonderful piece Sunday he titled “Resolved: Quitting the Progressive Christian Internet in 2014“. He speaks accurately about the way in which our various forms of outrage have created divisions when the Church should be a collective witness to the Kingdom. I think Zach is on the right track. I’d go a step farther. I want us to stop identifying with celebrities and reality show characters. If you want outrage, write about when you were personally wronged. Better yet, get to know the very real people down the street or those you pass at the mall. They’re way more important than those faces on television or images on the internet. They are the Very Real folks created in the Image of the Creator God.